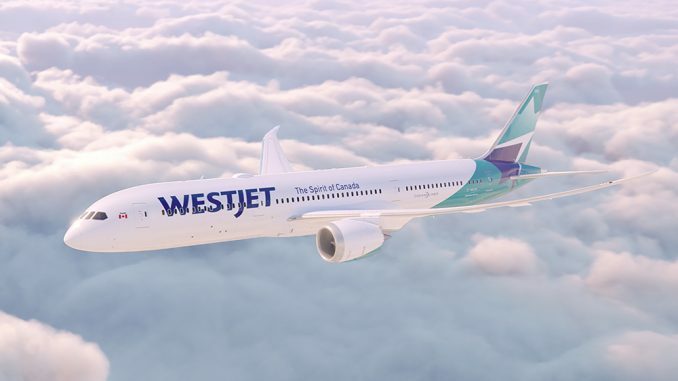 Canadian low-cost airline WestJet announced on Wednesday its long-awaited plans for its new Boeing 787-9 Dreamliners. 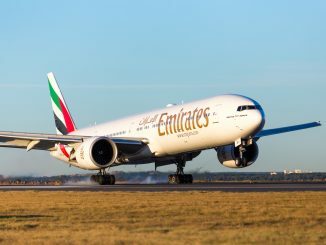 The widebody aircraft will serve London, Paris and Dublin from the airline’s main base in Calgary, Alta. 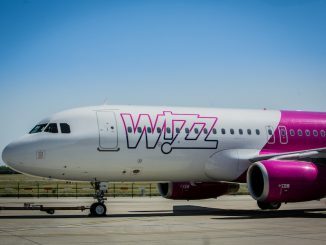 Service will begin in April 2019 following the delivery of the aircraft from Boeing. With this announcement, WestJet becomes the first airline to build a Dreamliner base at Calgary International Airport, Alberta’s main gateway due to the heavy presence from both WestJet and Air Canada. 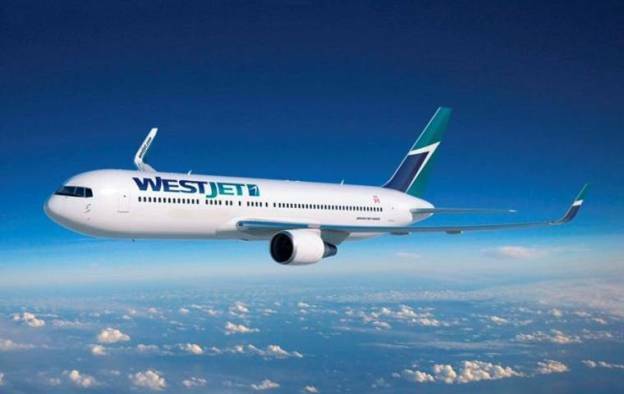 London, an already popular European destination for WestJet served via Gatwick Airport, will see daily flights from the Calgary hub on the new modern aircraft beginning on April 28, 2019, replacing the secondhand Boeing 767-300ER currently used on the route. Paris will receive its second WestJet flight on a four-times-weekly basis beginning May 17, 2019. Dublin is set to receive its first WestJet Dreamliner on June 1, 2019, one of the first scheduled Dreamliner services form North American to the Irish capital, on a three-times-weekly basis. WestJet estimates that the new service between Canada and Europe will create 650 full-time jobs on both sides of the Atlantic while contributing to $100 million in economic output. The airline estimates that it currently contributes $5 billion in yearly economic output and supports over 30,000 jobs both directly and indirectly. 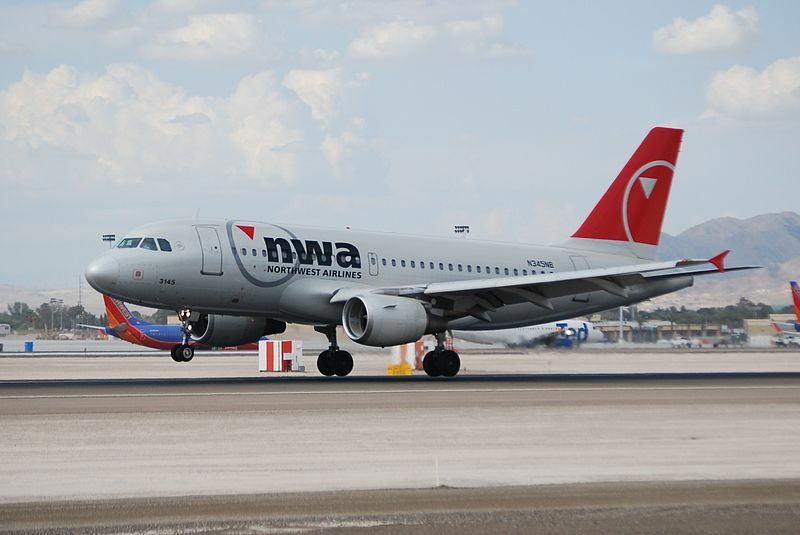 Although Calgary is prime for a connection hub to smaller Canadian cities, as well as points south in the U.S. and Central America, the airline estimates the aircraft will bring 185,000 visitors to Calgary yearly. The use of the Dreamliners is the next evolution in widebody service for the airline as WestJet currently serves the transatlantic market from the major Canadian cities of Calgary, Vancouver, Toronto, Winnipeg and Edmonton with its Boeing 767-300ER. 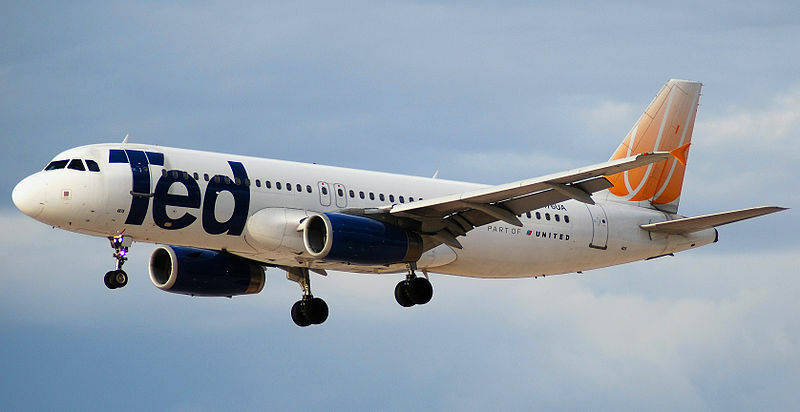 The service, which began in 2015, made it the third Canadian airline at the time to connect Canada and Europe with widebody service following Air Canada and Air Transat. Eastern Canadian cites such as Halifax and St. John’s have been connected to Western Europe for years on WestJet’s Boeing 737 Next Generation fleet. Halifax currently sees service to Glasgow, London and Paris while St. John’s only sees transatlantic service to Dublin. Unfortunately, for these airport’s, both WestJet and Air Canada seem to be content with operating single-aisle narrowbody aircraft on those routes and will not see a Dreamliner grace their runways anytime soon. The arrival and deployment of the Boeing 787-9 Dreamliners signify a radical departure from WestJet’s historic business model, comparable to JetBlue’s in the United States having both been founded in-part by aviation entrepreneur David Neeleman, primarily due to its inclusion of a business class cabin. Previously, the airline operated a premium economy cabin, called Plus, on its Boeing 767-300ERs used for the transatlantic service. On the exterior of the aircraft, spectators will also see a new livery, reminding us that this is a new WestJet both inside and out. 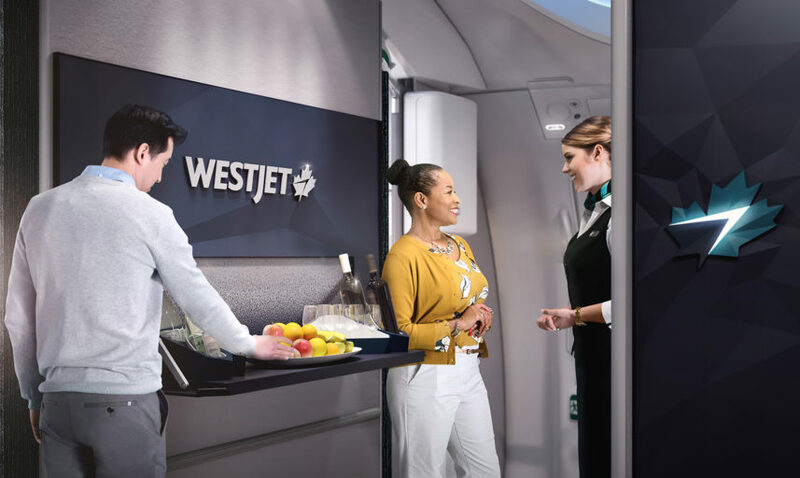 With the 320-seat Dreamliners, WestJet is adopting features from major international carriers for a true premium product. Although only occupying 4 rows and consisting of 16 seats in a sleek and modern black and brown design with hints of WestJet green, the new Dreamliner business class will feature lie-flat seats, dedicated flight attendants and a full meal service, all the trappings of an international business class. 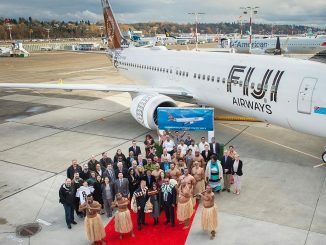 Additionally, a small premium economy cabin will also be outfitted on the aircraft to feature 28 seats across four rows. In typical premium economy fashion, the recliner seats will feature 38-inches of pitch and 19 inches of width. Economy will be in a standard 3-3-3 configuration with its seats featuring 31-inches of pitch and 17.5 inches of width. 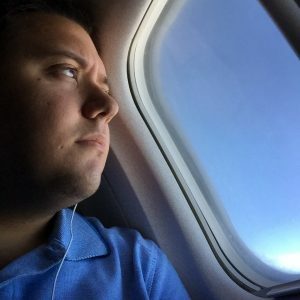 Similar to its Boeing 737 counterparts, the aircraft will feature personal in-flight entertainment systems, but also power outlets, USB charging ports and WiFi. WestJet currently has 10 firm orders for the 787-9 Dreamliner, 8 of which are expected to arrive at their new home in Calgary in early 2019 with the remaining aircraft to be delivered by the time flights start in April. According to a WestJet press release, three of the 10 will be based in Calgary with routes and hubs for the remaining 7 yet to be announced.